Comment with your favorite pic together Juice Marigold Peel fresh on the Contest post. Tag one of your loved ones and the hashtag #kebaikanbuahbuahanharian to remind them about the importance of getting 2 fruit dishes every day! 30 comments and the most creative picture will win a couple of tgv tickets! 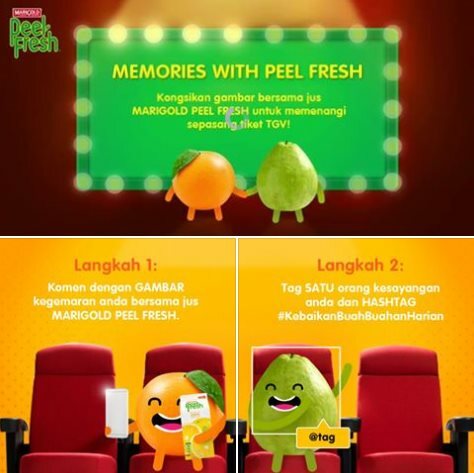 Visit Marigold Peel Fresh: Memories with Peel Fresh Contest terms & conditions for more details.